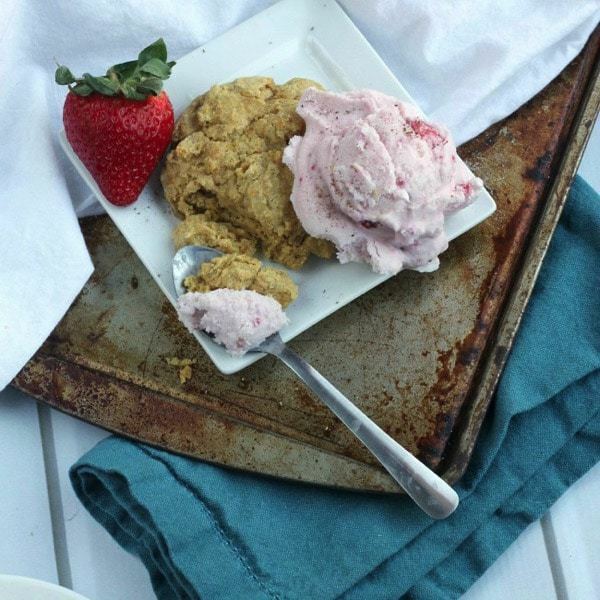 A new twist on classic strawberry shortcake, made healthier and even more delicious! With Valentine’s Day fast approaching, don’t you want a sweet treat for your sweetheart that’s healthier too? 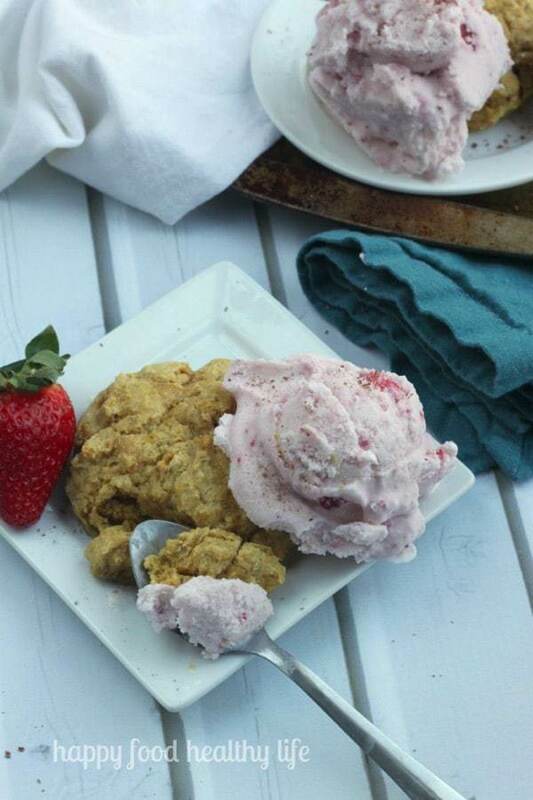 For a twist on strawberry short cake, swap the cream for coconut milk, all purpose for whole wheat flour, and try these Coconut Milk Strawberry Ice Cream over Honey Orange Biscuits. 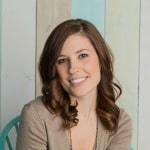 I am so excited welcome Holly from Happy Food Healthy Life. Holly and I have only met “virtually”, but I hope to meet her in person someday. She seems like so much fun, and I love checking out the tasty treats going on in her kitchen – desserts, healthy snacks, smoothies and yep, cocktails. And she is always inspiring people to focus on a healthy lifestyle and be happy in their own skin – I love that! Be sure to stop by her blog and enter to win the NINJA Supra Kitchen System that she is giving away! 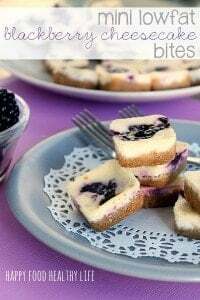 Round out dinner by checking out Love Bakes Good Cakes for some Healthy Meals or The NY Melrose Family for some Healthy Snack Ideas in our #EatHealthy15 Series. I am so thrilled to be here today! I “met” Brianne over the internet a few years back at an online conference, and I have always been so impressed with her healthy recipes and the fun lunches she packs for her son. So when she asked me if I’d like to contribute a healthy dessert recipe for the New Year, I was beyond excited! Healthy desserts. Kind of sounds like an oxymoron, right? 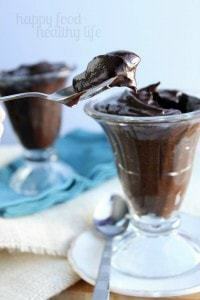 The thing is, I absolutely love taking those ooey-gooey sweet treats and finding a way to make them healthier. It really is so simple to do once you learn a few tips and tricks around the kitchen. All you have to do is substitute some of the nutrient-lacking ingredients for ingredients with a little more nutritional value. 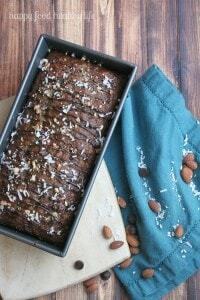 This post is full of healthy baking substitution ideas to get you started. Last summer, I made a Peanutty Coconut Vanilla Ice Cream with Fudge Ripple, and it was such a hit for my family. And the best part was that the ice cream base was dairy-free! No heavy cream. No eggs. None of it. Coconut milk is the perfect substitution for making a light and creamy ice cream without adding all the guilt. And with this recipe, there is hardly any added sugar. I’m usually a chocolate and caramel kind of girl, but one of my absolute favorite types of ice cream is homemade strawberry ice cream. Where you can actually see the chunks of strawberries throughout each scoop. That’s how you know it’s fresh and homemade. So that was the plan. I was just going to make you this delicious ice cream, and while it’s wonderful by itself and can totally stand on it’s own, I wanted more. And that is exactly what I did. 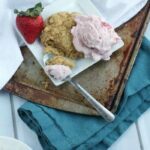 I combined homemade ice cream with a sweet biscuit for a twist on a strawberry shortcake. With the substitution of whole wheat flour in the biscuits, we’re on our way to making some health-conscious choices! 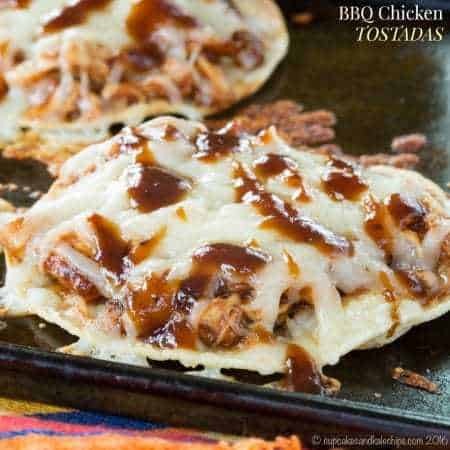 But honestly, just one bite into this divine recipe, and you will not be thinking healthy thoughts at all. It’ll be creamy. It’ll be sweet. It’ll be full of flavor. It’ll be all you could have ever asked for and so impressive for anyone who gets to indulge in it with you! Oh, and since we’re on a health kick, I’m so excited to be a part of this amazing giveaway! Have you ever wanted an amazing NINJA SUPRA SYSTEM??! There’s so much you can do with it, but my #1 favorite is making green smoothies! Head on over to my site to enter! I’m a lover of cupcakes and brownies, green smoothies and tofu. I don’t believe in dieting, restriction, or guilt. I believe in loving the skin you’re in, staying active, and listening to your body. After a decade-long battle with an eating disorder, I’m on a personal journey to living my happiest and healthiest life yet. 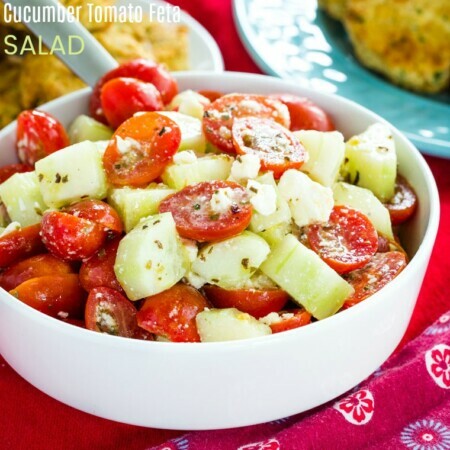 You can visit Holly on her blog: Happy Food Healthy Life and on Facebook, Twitter, Pinterest, Instagram, and Google+. Be sure the bowl of your ice cream maker has been in the freezer for at least 12 hours before starting! 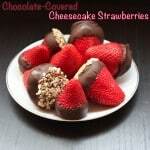 Either in a large bowl or in a blender, combine the coconut milk, creamer, sugar, vanilla extract, and strawberry puree. Once combined, pour it all into your ice cream maker, following the manufacturer's instructions. It will take approximately 20 minutes to set up. About 5 minutes before the churning process is over, add in the diced strawberries to be sure they get worked through the ice cream. Once churned, it's ready to put into a freezer-safe container or pan. Freeze for a couple of hours to set. While ice cream is setting, make your biscuits. Preheat oven to 350 degrees F. Line a baking sheet with parchment paper or a silicone pad. In a medium bowl, whisk together the flour, oats, the 1/4 cup sugar, the baking powder, baking soda, cardamom, salt, and orange zest. Add the butter and, using your fingers, quickly break up the butter in the dry mixture until the butter is the size of small peas. Make a well in the center of the mixture. Pour in the almond milk, and gently stir until all of the flour mixture is moistened. Dollop six 1/2 cup scoops of the biscuit mixture onto the prepared baking pan. Sprinkle with the 2 Tablespoons sugar. Bake until the biscuits are golden brown, about 20 minutes. As soon as they come out of the oven, drizzle with honey. Let cool. Serve with a scoop of softened strawberry ice cream. 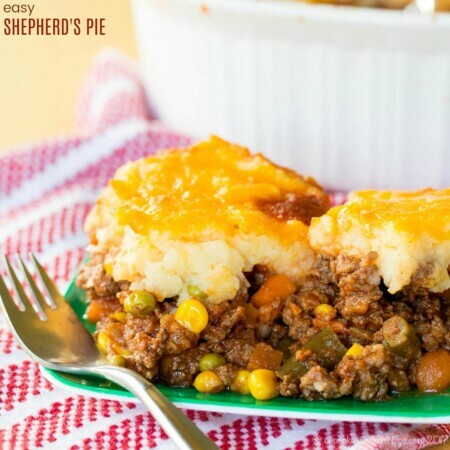 You will want to let it sit out for at least 20-30 minutes before serving, in order to thaw a bit. 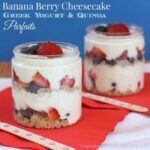 If you’re looking for other healthy desserts, be sure to check these out from Holly! I know, lovely flavor combos! I haven’t had fresh strawberry ice cream in such a long time but you have me craving it now! What a fun new recipe! I am not sure if I am more excited about the ice cream or the biscuits! I have met Holly in person, so I can attest to her awesomeness! Don’t choose – you need both! I love everything about this!! The honey orange biscuits sound like a dessert all to themselves! Coconut milk strawberry ice cream sounds fabulous too. 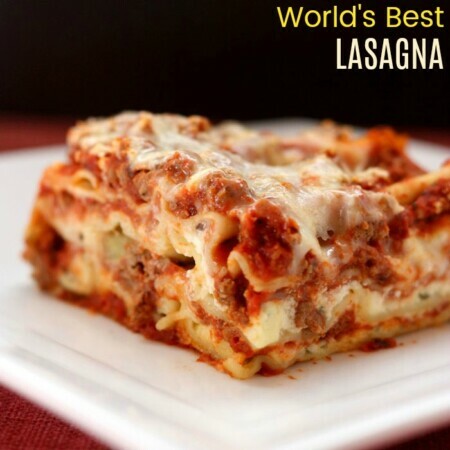 This is a wonderful dish! 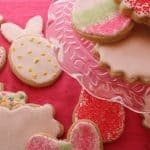 Being a chocolate person myself, like Holly, I’m intrigued to try strawberry ice cream biscuits (yay to oats biscuit). Perfect for Valentine’s day! 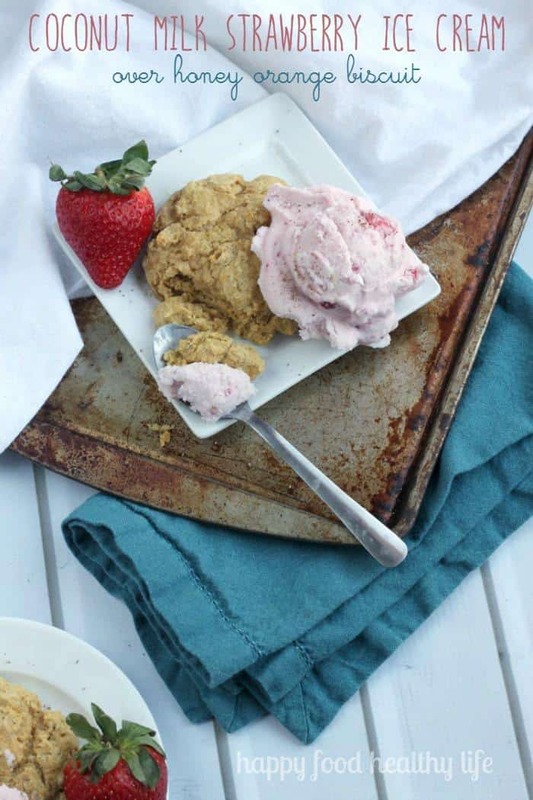 I LOVE making ice cream with coconut milk and that strawberry touch sounds SO good! I needa get my ice cream fix TODAY! Pinned! Thank you so much for having my Brianne! 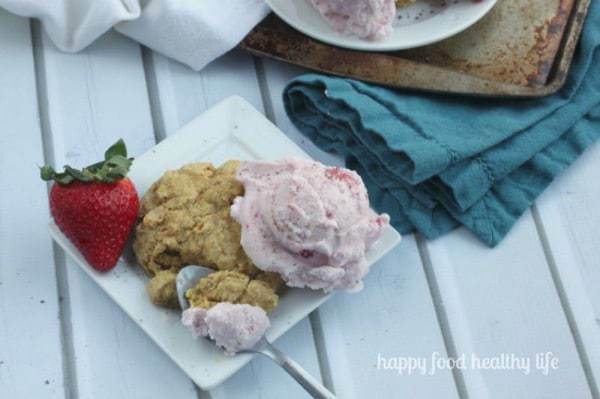 This vegan ice cream is to die for, and we just can’t get enough of it!